Great shopping. Friendly atmosphere. Well-maintained rooms. Nice building. Stop at The Fern Residency Galaxy Mall to discover the wonders of Asansol. Featuring a complete list of amenities, guests will find their stay at the property a comfortable one. Take advantage of the hotel's 24-hour room service, free Wi-Fi in all rooms, 24-hour front desk, luggage storage, car park. 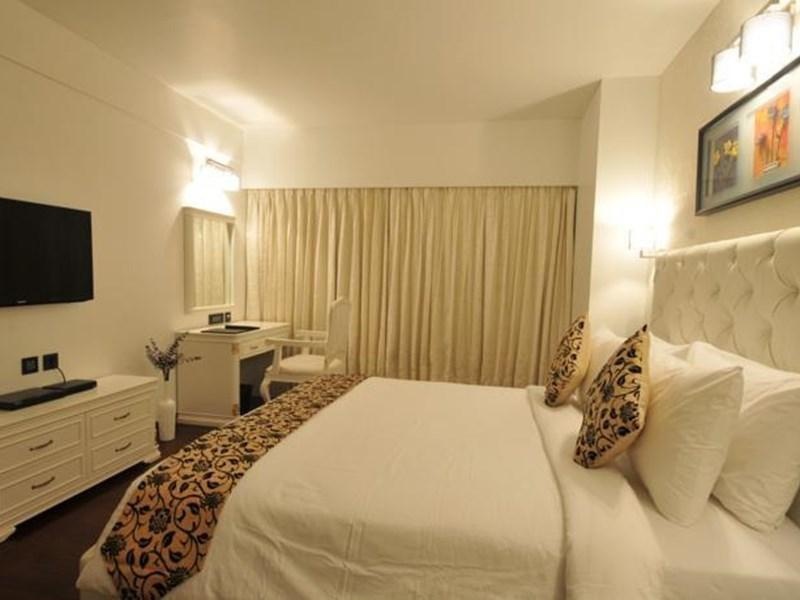 Guestrooms are designed to provide an optimal level of comfort with welcoming decor and some offering convenient amenities like television LCD/plasma screen, non smoking rooms, air conditioning, wake-up service, desk. The hotel offers various recreational opportunities. A welcoming atmosphere and excellent service are what you can expect during your stay at The Fern Residency Galaxy Mall. Brand shops next door. Nice place to visit. Amazing location. Very good city hotel. Located near shopping areas with easy access to parking. Great room. Awesome vibe. Excellent ambience. Modern amenities. New facilities. Modern facilities. One of the best executive class. New facilities. Modern amenities. Eco-friendly toiletries. Excellent rooms. Courteous staff. Fabulous service. Excellent Room Service. Calm place,. King size beds. Great taste of food. Great restaurant. Good quality ingredients. Removed breakfast. Good breakfast. Below average breakfast.